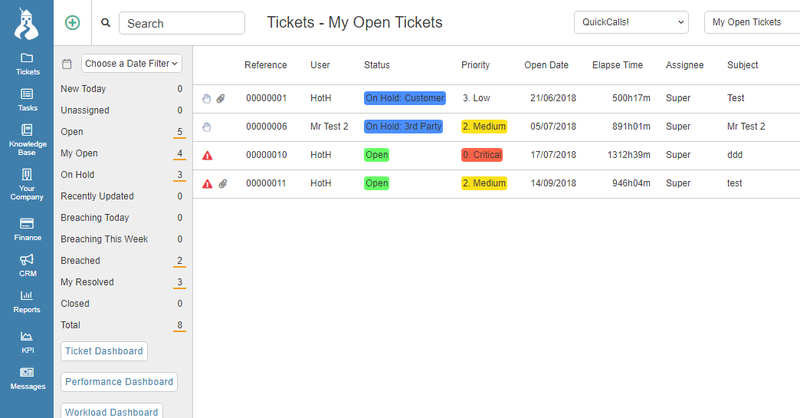 Enhance the User Experience by creating unique Customer Self-Service Portal screens that display the company branding of each Customer that you support, using SupportDesk’s Customer Portal Branding function. By attaching an image named Logo.png to the Customer record, you will be prompted to create a portal URL for the Customer using the Logo.png file as branding. By clicking Create, the web-portal link is automatically generated, and the customer is set up as a WebGuest. You can then send this link to your customer for them to log any issues or requests via the portal.